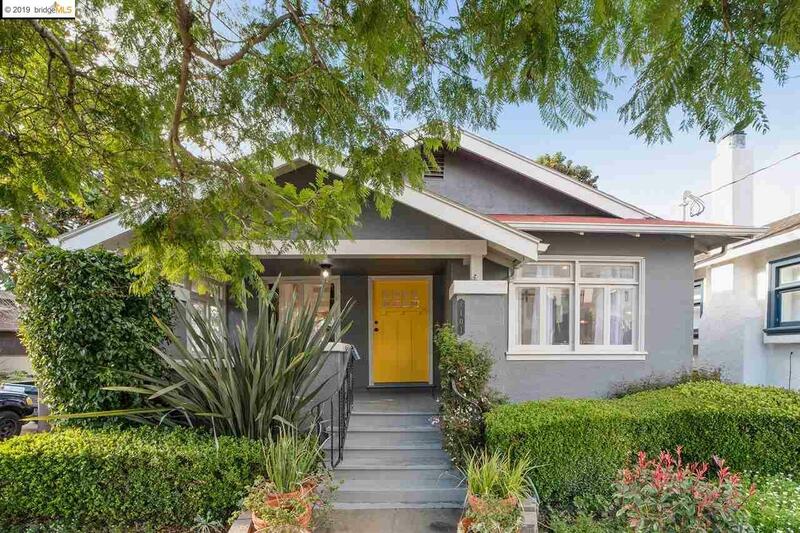 1101 Park Street is a quintessential 2-bedroom, 2-bathroom Craftsman built in 1913. Inside, many of the home's charming original details have been preserved, while many of the newer upgrades reflect today's modern needs while staying true to the home's original Craftsman aesthetic. The bright living and dining rooms have a gracious flow with beautiful vintage hardwood floors and plenty of light from the newly installed recessed LED lighting. The updated kitchen offers of modern amenities including quartz countertops, stainless steel appliances and features authentic, handmade traditional cement tile flooring. Off of the kitchen you'll find a combination pantry/laundry room and a bonus room perfect for a home office. The master bedroom features an elegant remodeled en-suite bathroom. Each bedroom has a spacious closet and abundant natural light.